If you haven't noticed, we're always a little bit obsessed with fall wedding details! Our fall season is about to be out of control, and we're going to love every crazy second. Get ready for tons of unbelievably gorgeous wedding photos in the next few months! In the meantime, I wanted to share this styled shoot from a few years ago. I still cant get over the western, gypsy-inspired details! 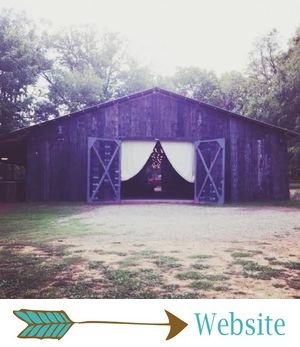 And so many of these details would be perfect for fall weddings at The Barn. Prepare yourselves for some serious eye candy! Y'all, our team has been killing it with styled shoots this year. In the spring, there was the stunning, totally dreamy Magical Meadow styled shoot. This fall, we've done the Wild West Gypsy shoot, which I get to share with y'all today. Our team also did another fabulous styled shoot this past weekend, which you can see sneak peeks of on our Instagram and Facebook. It was a beauty as well! And now let's talk about all the amazing details from this shoot. As the name suggests, this shoot was full of gypsy-meets-cowgirl vibes. Faux fur. Cowboy hats and boots. Dreamcatchers. A teepee. Cowhides. Horses. Stunning florals (we can't do a shoot without 'em!). A rustic wagon. Gorgeous place settings with stone slab chargers (amazing!). And of course there were lots of pretty outfits, too. There were way too many great details to name, so you'll just have to check them out in the photos! We couldn't have pulled off this shoot without these incredible vendors! Gorgeous, am I right?! Tomorrow, I'll be sharing a fun, colorful, unique fall 2015 wedding that I'm super excited about!